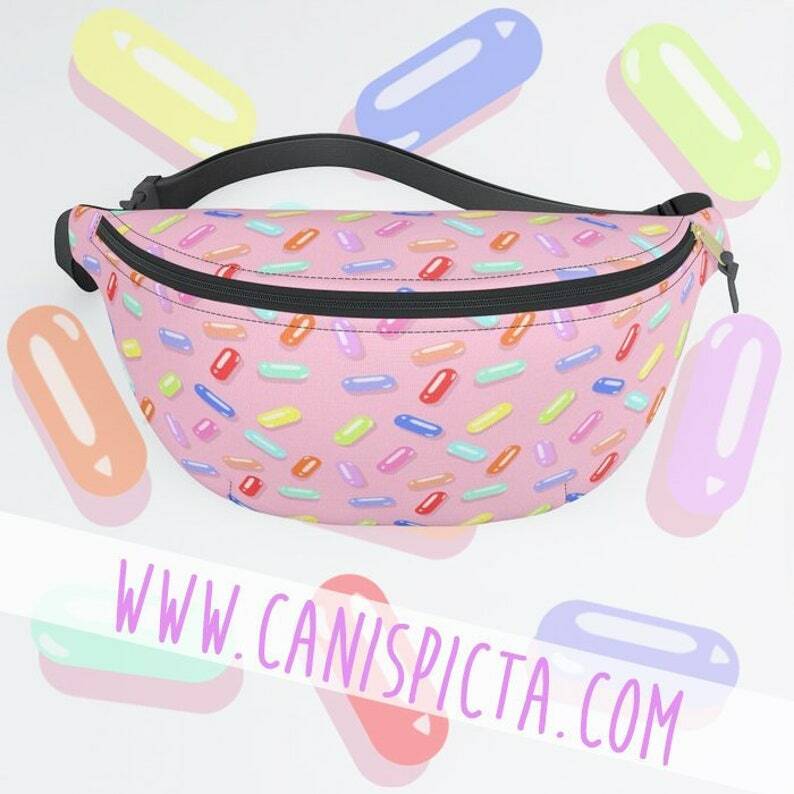 This listing is for ONE Graphic Print Fanny Pack. Fanny pack, bum bag, or, more plainly, pouch. All names for a fun and versatile throwback of a bag. Feast your eyes on our retro offering, replete with 90s colors and graphic shapes. This bag is comfy enough for e'eryday and sturdy enough for taking on adventures. **NOTE** Due to the nature of the item and printing process, some of the names may be cut off and not appear on the entire pouch. Fanny packs feature an adjustable waist strap. They are made from a durable yet comfortable poly poplin canvas-like material on the exterior, and a soft polyester lining boasting an interior card pocket and lip balm holder. Aaand, the back is foam-padded for extra cushion for the pushin'. Complete with brushed nickel hardware. Bag Dimension: 15" (W) x 5.25" (D); adjustable belt fits from 23" to 52" around. Care Instructions: Simply clean with a damp cloth. Do not machine wash, dry clean, tumble dry or iron. 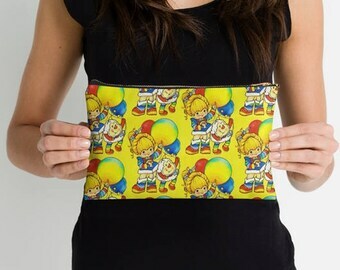 Our Studio Pouches are professionally printed, so please allow for printing and processing time when making your order/s.